Technologies are often revolutionary until they’re commonplace. Hammers might not seem like a technology, but imagine the advancements that occurred with that simple curvature and added weight at the head over using branches or rocks to crack open food. Language is a technology, laying a framework to replace pantomimes and insinuations. All of our own technologies evolve, sometimes at a turtle’s pace, other times so rapidly we can’t imagine how this precious commodity didn’t exist before it suddenly appeared. The notion of a driverless car is not new. That we’re reaching an era where few of us will have their hands on the steering wheel might seem novel, but it soon won’t seem unique. Yet how about a car that can mine cryptocurrency? Cars are becoming more like phones, with continual software updates not just making our automobiles more reliable, but actually changing the nature of what our cars can accomplish. The oldest Tesla in Tesloop‘s fleet has over 400k miles on it. Besides a few scratches, CEO and co-founder Rahul Sonnad says you can barely tell its age. 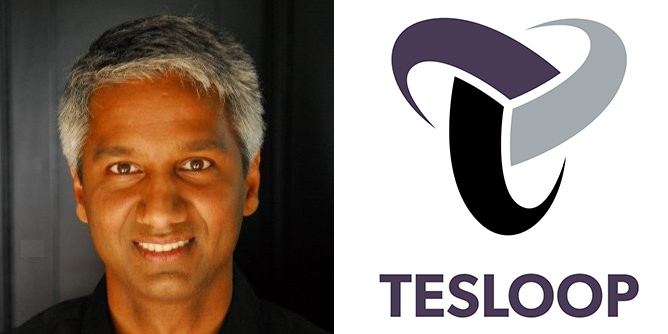 The company began after Sonnad’s 16-year-old son, Haydn, asks his father for a Tesla. Father, in classic fashion, says sure, get a job. Son replies that he’ll drive people from Los Angeles to Las Vegas on the weekends to pay for the lease. Father says ask Elon Musk when driverless features will hit the market. Son does. Father shuts down the business he was building and gets his partners to buy into a new mobility service. Tesloop is born. The applications are endless, only as limited as our imagination. Fortunately, the team at Tesloop has quite a large capacity for dreaming.